Southern Loggin’ Times’ September issue spotlights Louisiana’s Mike Bryant, who can tackle any job no matter how big or small, since he sets up his operations with the versatility to run anywhere from three to five crews depending on the conditions of each tract. Also featured are South Carolina’s Jackie Popham, a hardwood lover who has switched to pine in the face of changing markets, and Louisiana-based Halley Timber, where owner Kenneth Halley has reduced downtime and knife wear by redefining chipper maintenance. 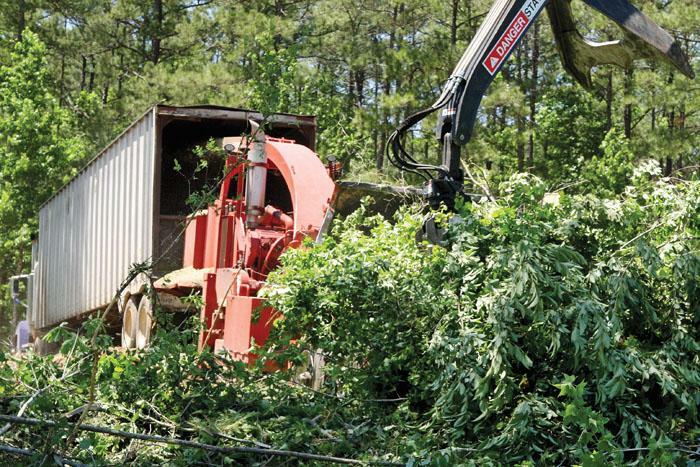 The issue provides a preview of the upcoming Mid-Atlantic Logging & Biomass Expo, which is set for October 7-8 and is poised to help move the industry forward. 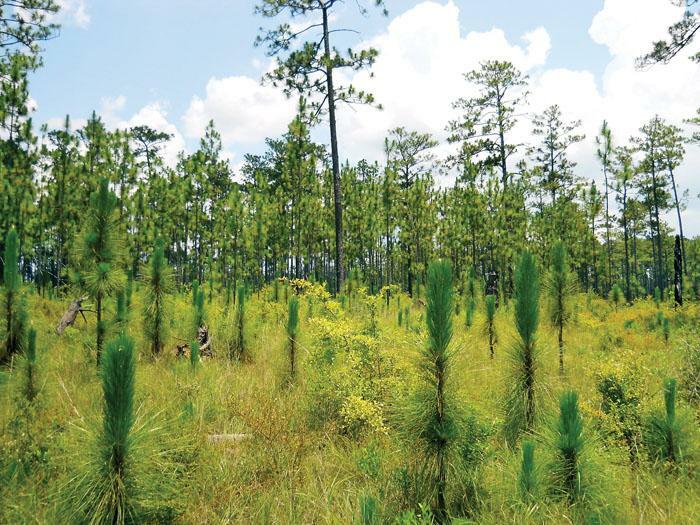 Continue reading the Longleaf Pine drama. Jackie Popham, 53, owner of Popham and Son Logging, has always focused his career on cutting hardwood logs, and that’s what he’d prefer to be doing today. But as the folk poet sang, the times, they are a-changin’. Hardwood pulp markets in his area have grown tight, so for the first time in his 35+ years of logging, he’s had to expand his scope, and that meant switching from chain saws to buying his very first feller-buncher early this year. Despite a lackluster market for sawlogs and poor prices for pulpwood and chips, the Mid-Atlantic Logging & Biomass Expo appears to be shaping up as a significant event for forest industry constituents as expectations intensify along the central Atlantic coast about new markets on the horizon. The exposition is set for October 7-8 on a privately owned tract just outside Selma-Smithfield, NC. As the public is finding out each week through shows like the History Channel’s “Ax Men,” offerings on the Discovery Channel such as “American Loggers” and “Swamp Loggers,” and TLC’s “Heli-Loggers,” the timber and logging industry can be rife with surprises. While those shows tend to focus on all the things that can go wrong on a daily basis (equipment breakdowns, accidents, issues with employees—even alligators), it should be noted that positive things actually do occur to people in the logging profession. For Kenneth Halley, owner of Halley Timber, a Louisiana-based timber company, just such a surprise came in an unlikely place: with an equipment purchase. In 1946 a new concept for forest research was developed in the South. Local research centers concentrating on major forestry problems in a defined territory were established. Each was in effect a branch of the USFS Southern and Southeastern Forest Experiment Stations. Six were established in the longleaf pine belt: Alexandria, La. ; Gulfport, Miss. ; Brewton, Ala.; Lake City, Fla.; Cordele, Ga. and Charleston, S.C.
Logging is dangerous work, obviously. Everyone knows that. Not as dangerous as it once was, maybe, but it’s still no cushy office job (like mine). When I’m in the field taking pictures of logging crews, I’m always very aware that something could go wrong. You have to get relatively close to the machines to get a good photo, and even though the operators are aware of your presence and probably won’t drop a tree on you, there’s always the chance that, for instance, a tooth could come flying off of a feller-buncher head, or that any errant scrap of wood could get shot off at a velocity high enough to turn a splinter into a missile. It happens. 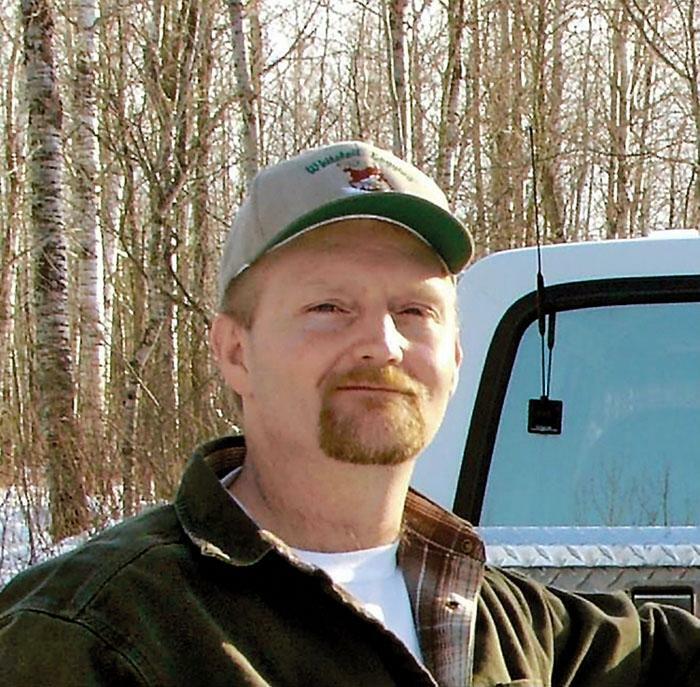 A few years ago I did a story on a logger in Texas, Lavoy Eason, who was basically shot through the throat when a random stick somehow pierced his enclosed loader cab and tore through him like a bullet. Almost 30 years ago, a young James Wilson, inset, signed on with J.A. Riggs Tractor Co., the Cat dealer in Arkansas, as an assistant forest products representative, serving with the late and legendary Harold Taylor. 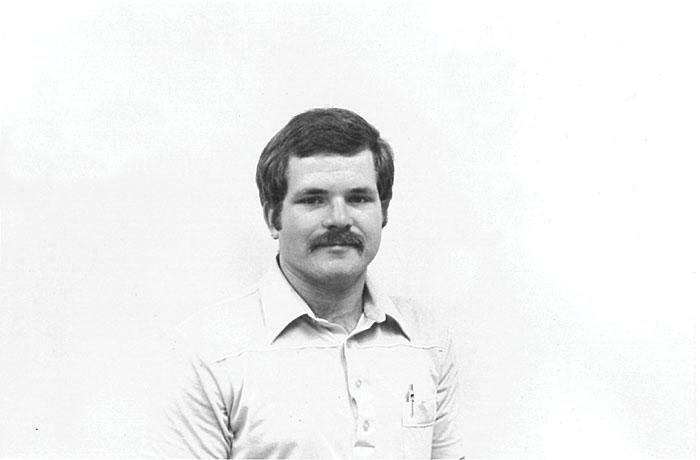 He worked with Riggs for nine years before joining his family’s Rison-based sawmill and logging businesses, in which he continues to play a leading role, particularly on the logging side. The Wilson family recently joined forces with equipment veteran Robert Reeves to launch River Ridge Equipment. 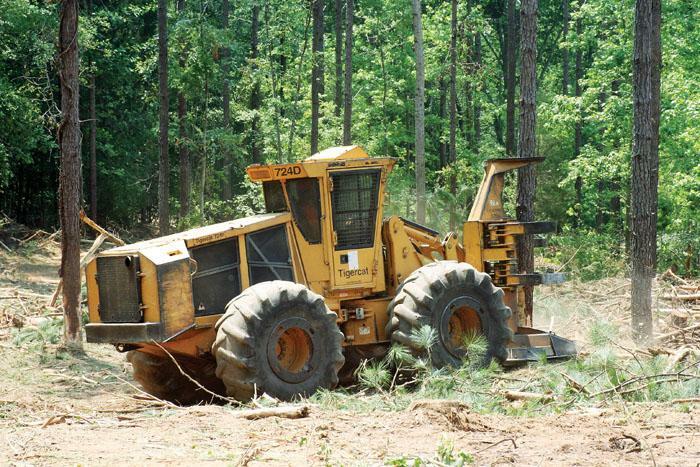 The Wilson logging business was the SLT cover story for December 2001. The American Loggers Council’s (ALC) summer board meeting was held July 30 in Cincinnati, Ohio. There was a very full agenda with committee reports on government relations, transportation, communications and Master Logger Certification©. One of the notable highlights to the government relations committee was that both the House and the Senate introduced legislation to amend the Clean Water Act to specifically exempt silvicutural activities from the NPDES permitting process. ALC representatives had visited with members of Congress on this issue during the spring board meeting and fly-in held in Washington, DC last March and have continued that dialogue over the past three months, joining in with the Forest Roads Coalition and other forestry organizations seeking solutions to the issue. 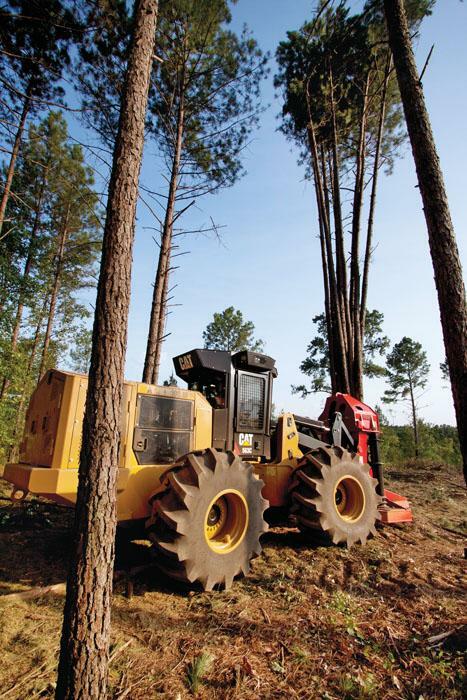 Most discussions about maintenance for forestry equipment focus on protecting machines from wear and weather, but theft and vandalism are also costly. Equipment lost or out of service due to vandalism or theft can cost tens of thousands of dollars a year and can cause up to $5,000 a day in lost production costs. This protection poses a special problem for loggers because equipment must typically be left unattended at isolated work sites for extended periods.